Okay, my name is Dr. Ngwu. Leonard Ngwu. I was born on third September, 1951. Third September, 1951. In the first place, I worked as the personal secretary to his Honorable, his Excellency, Honorable Dr. Nnamdi Azikwe of the blessed memory. I worked as personal secretary because we have common boundary. 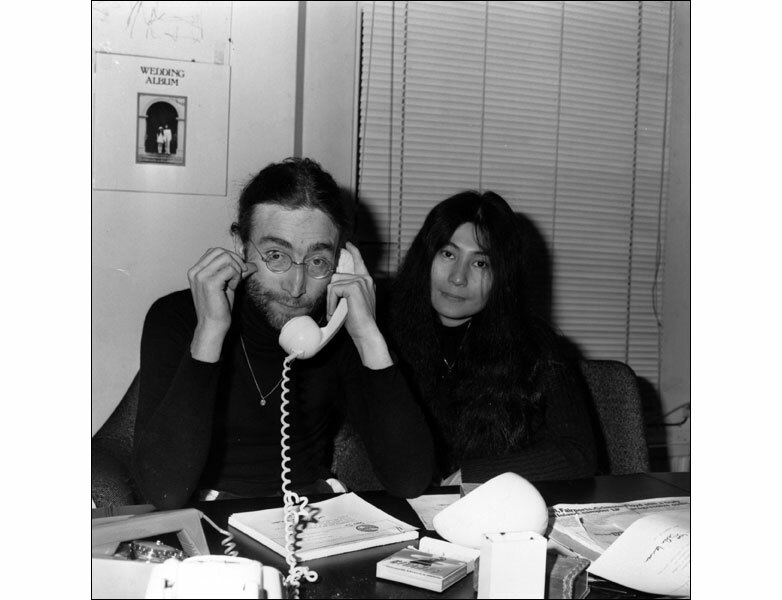 I worked with him for two years, [1975 to 1977] I was doing all his documents, all his paper, I was preparing them. Then after that two years I got appointment as typist with the University of Nigeria Nsukka, under bursar’s department. I was there for nine years. Then I moved, I was transferred to philosophy department where I now worked as the departmental secretary with one reverend Dr. Fr. Chukwu Dozie. He is now late. Then it was from my there that I got my admission to do my first degree in university through staff quota. Though I was not allowed to do that because they wanted to call us back then I had to resign my job because I was very keen to get myself educated. 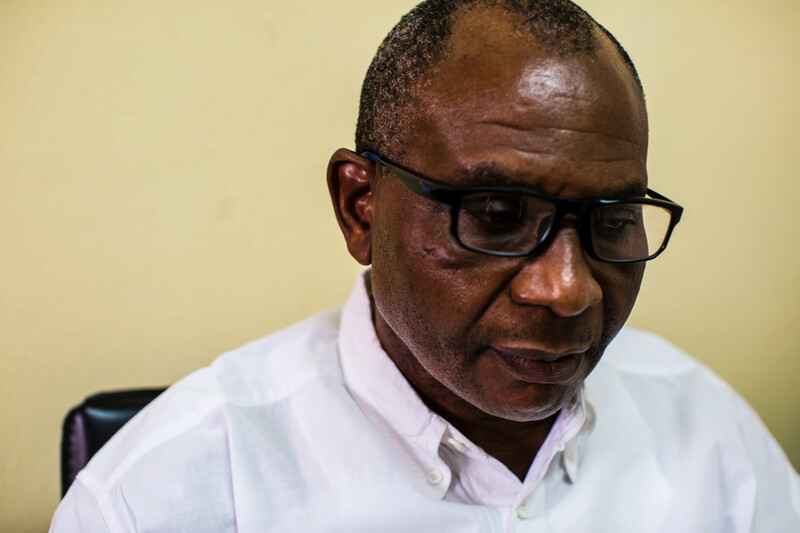 So after my first degree, I wrote several letters to be re-absorbed they could not do it so I had to continue working menial jobs for three good years before I got this teaching with the state PPSM – Post Primary Education Board Enugu State. That was where I worked as teacher in a secondary school. So it was through my teaching appointment that I started doing during the appointment, my work with PPSMB then I started doing this my second degree. It was there I did my PGDE, my MSC, after which I continued with my PhD. With the, from that two, I worked with Enugu state government for two years. 1992, 91 to 92. In 1966, I was in secondary school. I was about entering my secondary school, you see. Isienu Community Secondary School, Nsukka. I went there, wrote the exam, I passed, I went for the interview. It was a success. I was about paying my caution fee of 25 pounds before the war started. It was on a Friday. Chika: But going back to the pogrom of 1966, did you hear about that? The program was 1966. It all started about when they, Zik. You know after the 1960 independence from Britain. About the pogrom, I was able to know because I finished my Primary 6. I was about going into the secondary school. So the pogrom, I saw many people coming from the north. People of my community, in everywhere in Igbo land people were coming back, telling their stories, how they were killed, even pregnant women, children. Everybody. So they came back without anything. Many of them are community members, many of them. You know we have, we are in living at the back there, Obollo here, east. It is very close to Benue and Kogi state. Then when you get down to Okutu now you have Kogi state again. Because down there, it’s just about 30 minutes drive you get to Okutu where you now have the next community which is Benue state. Then when you get to Obollo. Obollo is about 20 minutes drive. The next boundary, the next community will be Kogi and Benue state. So it was from there that the first shellings started coming in, the first shellings coming from this Okutu side and Obollo side. They had already came back. The pogrom started 1966 and when Ojukwu now came down here to meet the students and lecturers, he told them about- because you know after the pogrom, they now went for uhmm, this conference at Ghana. That’s Aburi Conference. What I heard was the news about the killings, the news about the killings. People who came back, came back with nothing. They left all their property, money, everything there. They were struggling. It was so bad. Economic hardship everywhere. I experience some of it because some of them are my relation. Some of them are my relation. We met. We met. I remember even around the community. We do that. They were so, you know when somebody is under pressure, some of them lost their family. Some of them lost all their property. They came back with nothing. They looked so haggard and depressed. All these are the principal things that happened to them. Depressed. Somebody who has nothing to show for. Maybe some of them had their establishment up there. Very haggard and you know somebody who is depressed and who is, who has lost everything he has. He is just hopeless in life and when you see somebody who is under that condition, it will look as if he almost running mental. I was so, all of us were so, I was so depressed because seeing your relations and seeing people moving around without nothing. Maybe you may not have enough to give them in terms of food then it looks very ugly. Very sad. As a young man, as a boy, I was not happy with that. All I know is that I did not support the idea of what they were doing, though I don’t know. I know the history before then, what prompted to that but it’s not what I would now say. I know the history before then because I’m even a government teacher when I was in secondary school. Nobody was happy. They [my parents] were all very depressed. My father was the watch night to Zik for almost 35 years. Watch night, watch day and watch night he does the two together. Leonard: My extended family relation, so to say were affected. Uncles and other people from different communities. They are relations because, because you know in Igbo land we have that extended family relationship and what happens to other person will now affect you. No matter the distance. It may not be direct family relations. It was radio. Some of them are in radio. Some of them are in newspaper because if you have the money to buy a paper or if you see a paper with somebody. There are some workers who are there who can read and write. You can read from there or you can listen to the radio. I heard it [the succession] from the radio because we do have Igbo news, English news and the rest of them. I was afraid, in short, to be personal, I was afraid and secondly, I know something is almost going wrong. Number one, the people who came back from the North. Number two, the confusion in the entire community. People flocking everywhere, looking for accommodation. Those people coming back have no house at home. Then we have the issue of economic hardship. So all these things are the problems we are talking about. I supported Biafra because in the first place I supported it because I’m an Igbo indigene. I’m from Igbo and I’m an Igbo and as a result those affected are my relations or my, you know Igbo brothers and sisters. So I was in support of whatever decision the people who know what should be done said. All of us thought that they are taking the right decision. That fateful Friday, as when the shelling started coming from Okutu side, that is Adoru and Obollu. Then, on Saturday, almost all these community members have left. On the Saturday we have to learn that all of them have left. Then with my brothers, my junior brothers and other relations we now left as well moving down to a community called Nguru down Arc road. We left to that place. My father was staying at home because of his work as watch day and watch night for honorable Dr. Nnamdi Azikwe. So we now have to move with my mother. We moved to that village. So from there, I was coming back at least to collect food. Something like cassava. I was coming back to collect cassava. That is one they both water yam, cassava, and some other food crops. So they started moving. I came back, I collected food and left. So on that very fateful day, that Saturday night, shelling was falling everywhere, both bullets will be raining like water everywhere. Then my father and my mother was at home then. In the night, when that shelling was happening, they ran under the bed. They were hiding there until one man living at that point. He was an accountant with one bank up there. So the man, they killed him like goat. They cut his neck, you see. So under such condition, my father and my mother was listening to the cry of that young man. So in the morning, that condition or that situation forced him to leave this community with my mother coming to meet us at Nguru. And when he was coming, he was carrying his dane gun. He was also with his knife, this sword, a kind of sword. You know Igbo man will always go with that sword and his dane gun. So they met them, these Nigerian soldiers. They met them on the way. They were lining up at the road side. Eventually, some of our relation who are coming back to collect food they are young men, hefty young men. Three of them were shot instantly. My father came back then as the people were coming in, we now moved again to Obimo. Then, from Obimo we moved again down to Lejja it was from Leja that we moved down to Nkpologu. We are trekking. That time all my brothers we have, my father have up to 12 children because he was marrying two wives. So what I did, I was the only healthy person then. My father was sick. My mother was almost old. My senior sister was sick. So what I do was to, when I move the younger one, I will carry them on my back. I move them maybe to that junction. I will come back again and move other group again to that junction. Our small property that is our clothes wrapped in a blanket, I will take it again farther down down. I will come back. I will be shifting them like that. Shifting them as people continue to move, because they move in a small pace area. When they move to a particular place they will sit down and rest then I will be doing the job going and coming. Going and coming. Even bicycle was not there. We were trekking. Those children are very small. They cannot move faster so I have to carry them on my back and so on. We feel very tired and angry and hungry because there was no food. We were not carrying, there was no money to buy any food. There was no food to buy, all these things. When you move into the bush, you pick kernels from under a palm tree, you come back and crack it. Maybe if you can crack up to 10, you share it among it the children. Maybe three three each. After chewing it, you drink up to three cups of water, then it will sustain you for the next day. Sometimes we go for this wild yam. Wild yam, you know all these things, we move into the bush and find anything edible. Sometimes this cassava we use the leaves to make porridge if we are lucky to get small piece of yam. Use it for the porridge. My senior sister was Regina. Regina Ugwu. Then I have Peter Ugwu. Edwin Ugwu. Pius Ugwu. Steven, Raymond Ugwu. We have Silvanus Ugwu. We are so many. They were very small by then, very small. So I was moving them batch by batch. The worst town was Nguru because I was, because it was not the worst time because the worst time was Obimo and Lejja. Why it was the worst time was because we had no food at all. When we were at Nguru, the first port of call at least by that time we had little money to buy food. But when we moved to Obimo and Lejja, our money has been exhausted. So but when we got Nkpologu, that is the place we were before we moved now inside to Uvuru. So the people there they were very cooperative. Immediately we moved into the town, they had this wooden gong. They would make that announcement, Ndi Igbo uwa’elu, that is the people of uptown in their place, that anybody who has anything to donate, anything to–let the person bring it to. So people were bringing fruited pumpkin, yam, cassava, cocoa yam. Everything, even condiments. Before you know it, one side of the room they gave us has been filled with food. Both corn, everything. This dry corn and so on and so on. So we started enjoying again. So I was the breadwinner. I was working. In that community, they have what they call oruoha, that is general work. And in that general work, you have up to 50 men working in the farm. So what they do is when you prepare your farm work, you now come and tell the general public. They will come work. One day work and they will finish all their work in that very particular day. And once they start working, you will be cooking. So among that 50, because of my sense, I was always the third person in the–because you work if you are strong enough you now cross your neighbor and take it. Continue. You cross as many people as you can cross. That determines whether you are strong or not. So I was always the second to, the third person or fourth person, actually. I was not able to move to the first and second. So that means when I will be going they will give me at least four tubers of yam. I will eat in the morning in that place. Then in the evening, in the night, I will go back and eat. Those four tubers of yam is meant for my family. I was doing it like that at least to find something for my brothers and sisters to eat, including my father. My father was so sick. So when we were at Nkpologu we moved to the inside, further inside. Then that place I continue to work for people. There are some times I will fight with this python. I will be cutting, clearing people’s land, ground for cultivation. Sometimes you see all these local fowl they will be crying, crying until maybe you notice something. That time, that very particular day, I struggled with that python until I killed it. Sometimes I fought with this, ihe na-eke agwo na-ala, that dangerous black snake. So I fought with it and I killed it. Sometimes we kill rats. There was a day I killed up to ninety-something rats. We call it mkpuala [rat]. They were staying in one hole. If you are working towards that you close all the necessary avenue for them to run away until you get to it. Then you start killing. And it is a very nice soup. That soup we made that day because we used it for protein. Bush rat, now. The one that stays in the bush. It’s a kind of bush meat. So we use it. That day, our soup pot will be very nice because the pot will be there. Then and so many other things has been happening. My sister when I was coming- at a stage, we started coming through corner way to Nsukka to collect food. They will roast the rats. You gather them. They roast it. My mother, she roasted it. My mother was still alive then. We use it for our protein. We have no protein again. There is nothing like that. So people are dying of kwashiorkor that is we lack, people lack protein. There was no refugee camp then. We are moving inside the bush. We are moving inside the creek. All these things. There was no refugee camp. 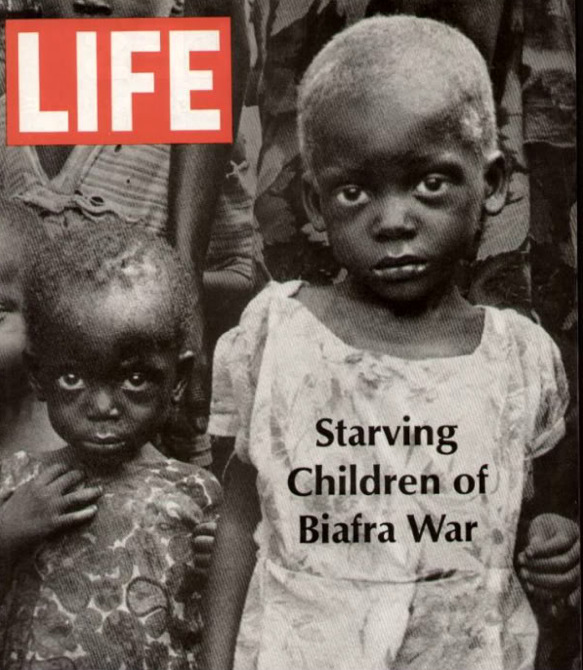 It was inside Biafra that they had refugee camp, like schools. People will collect in a school where they will stay but it’s always dangerous because air raids will always come. Noiseless plane. KRAM!!! To kill hundreds of people. What we had was the military. Sometimes they will come in a very this thing, they will come just when you are not aware. They will just surprise you. Collect young girls back to their camp. They will now force them to be their wives. Some of our relations were there. So when we were coming back, they were living at Zik’s flat. This my house was bombed. They used to grenade to destroy it because a man from umm, a community there. That is a community known as Eha-alumona. So he was a tailor and those soldiers living at Zik’s flat there, that’s Zik’s quarter were bringing all their clothes for maintenance. So if you come into the room, that building there, you have a heap of military uniform like this. So when we started moving from the compound all those things were left behind and when these people came they said, “Ha, Ojukwu soldier,” they thought that they were using the place as a reason and they have to destroy the entire building. I was almost conscripted but I, what I joined was Boys Company. Boys Company, because of my size, I was not able to carry gun into the war field but we went as Boys Company because our duty then was to go into, when you behave as if you are serving them. You go into their camp and they train hard. You now watch how they act fit. Recce, that is what they were doing, just recce work. I was not conscripted. We volunteered because all of us are feeling for all those things. When you listen to Okokon Ndem, the man who giving news. He will be carried, you will, your head will go off. You want even to run to the soldiers and catch them by hand. Okokon Ndem, he will be talking. He will be talking. 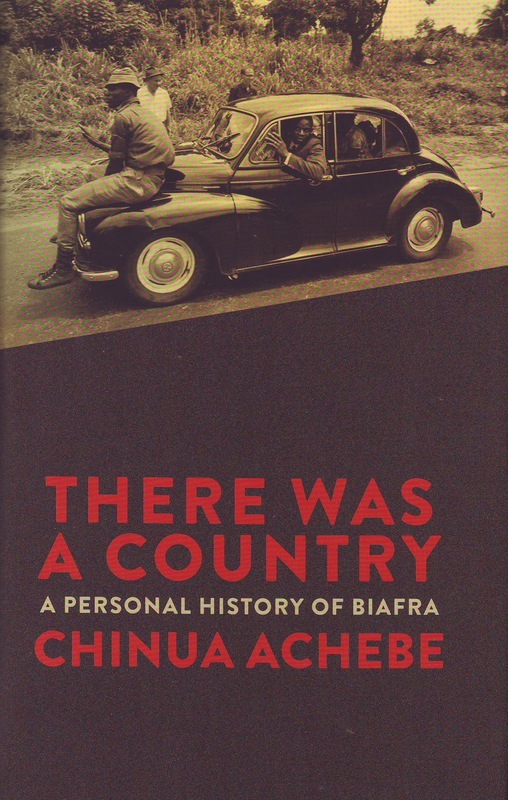 And when he started talking you think that Biafran soldiers have taken over everywhere when they are there are Owerri. They have left all these places, you know. But the soldiers from Nigeria will be calling us, “come back” because they have not gotten anybody to serve them. Nobody is there to serve them. They need people to serve them. They need women. They need young people who will be going errands for them. So we do come and give them that service. So when we were coming we usually come back and carry some food crops to one market, they call it Afia Attack. We sell that yam and everything there. After selling it, we now buy salt because what we lack most that time was salt. You buy some other things like crayfish. I went. That Ovoko that was the market we carry all these things. We used coins, Nigerian coins…. 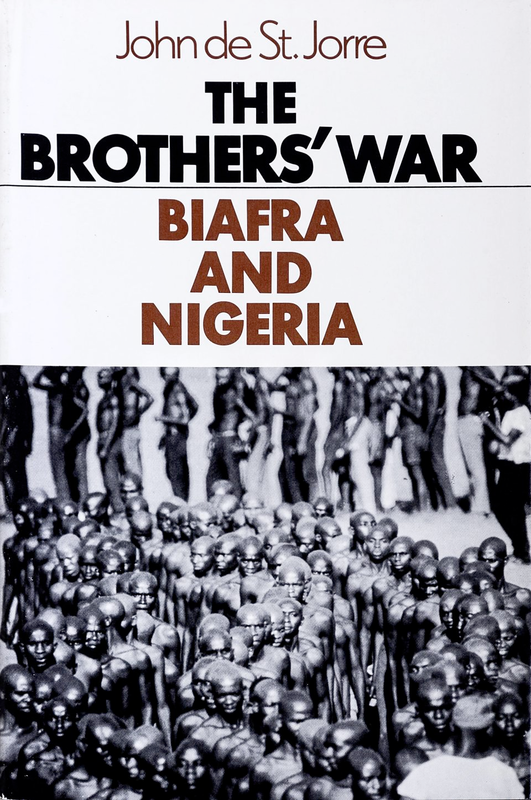 if you use Biafran money there, they will kill you. We used the coins. And when you use the coins, it’s higher than Biafran notes, so we use coins you see. What happened during the Abagana sector, it was a terrible incident. I didn’t see it but I heard about it. At the time of the surrender, we were at Uzo Uwani, that is Uvuru. That was our last port, our last place we ran to. Uzo Uwani. That place I was moving to a Ifite Ogwari with my father. My father was having stomach problem. We will carry bag of salt for this Afia Attack. That is those people now come over and buy salt then they will carry into Biafra. It’s a delicate job because if the Biafran soldiers catches you, you are in trouble. If the Nigerian soldiers catches you, they will collect the whole thing from you and maybe give you punishment for that. Some people here will, one man, a relation there, he was asked to dig his grave. He dig his grave by the Nigerian soldiers because if you are a young and healthy, they will always say that you are one of the Biafran soldiers. The man has already dug his grave until a woman who is a friend to the soldier man the leader there asked him, “Are you from Asado family?” He said yes. So that women started convincing the head of that unit to leave the man to go. At a stage after some pressure, they now asked him to go. At that Ifite Ogwari that Uzo Uwani. I was carrying a bag of salt. My father will carry one. I will carry one. We now move to that Ifite Ogwari to another community. You have to cross a river because there was, during the rainy season. The flood will now carry away the breeze. That is local bridge they use to cross the river. So you have to go through the river by leg. So you will carry this salt and water will be at this [touches his neck] stage. We will be moving. There is a way they walk so that water will not flood you out. If you can cross, you now cross you continue the journey. 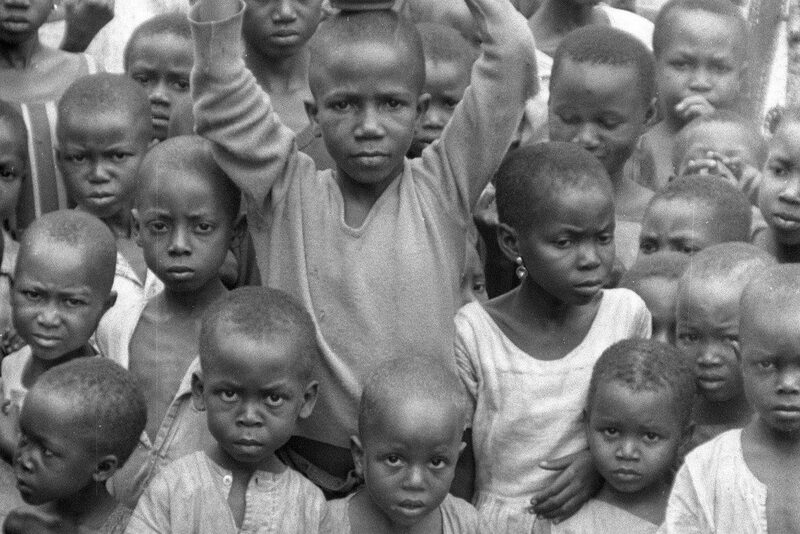 They will pay you three, I think two pounds, Biafran notes. They will us two pounds. And that two pounds cannot buy anything. The value is not there. The worst day for the war is the day my sister died; my senior sister, when we were about coming back here. I moved down to meet those people I’m going to come back with. Then, he called me back. She asked me to come back and when I come back I said why are you calling me back. She said okay that she just want to tell me to go well. I said okay, I will. I will come back very soon. So with that now, I don’t know that immediately I left, that my senior sister died and they buried her in one of the forest there. Eventually, I was here but I did not know that she has already died long time ago. You see? So it was a very terrible incident. I went back and learned that she was dead and maybe she knew that she would die before my coming back when she asked me to come back and so that she will tell me to go well, you see. That was my senior sister Regina. She died out of this malnutrition.